OSWEGO, NY – ISMA Supermodified regular Mike McVetta had plans to “pull the double” on Budweiser International Classic Weekend just a couple of years ago but those plans soon went by the wayside when a crash in Saturday’s Bud Light ISMA Supernationals caused any International Classic hopes to be diminished. This coming season will provide a fresh start, as the NASA Engineer from Wellington, Ohio, is building a brand new car for the 2018 Midwest Supermodified Series trail. Come Labor Day Weekend, McVetta hopes to bring that new Rocket Fab creation to Oswego Speedway for what would be the three-time ISMA winner’s first ever attempt at the most prestigious Supermodified race in the world; the International Classic 200. Preparing for a busy Classic Weekend, McVetta also has his older self-built chassis which was run on a full-time basis with ISMA last season as the yellow and red No. 22. 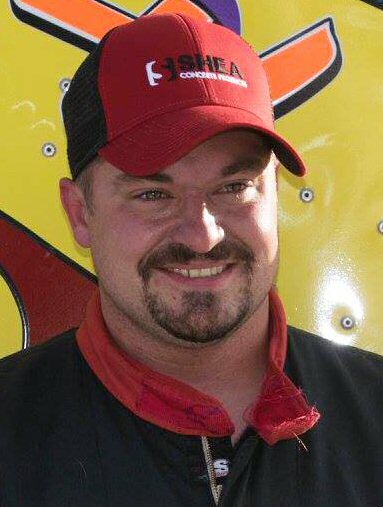 For the first time in his career, McVetta will now have the opportunity to run double duty at the Classic with two different race cars while also looking for his first career main event victory at Oswego. Qualifying for the 200 will take place on Friday, before attention shifts to the ISMA Supernationals on Saturday, and of course the International Classic on Sunday. At this time, with a busy MSS schedule in the works out in the midwest, it is unclear if the McVetta team will make it to Oswego for any races prior to Classic Weekend, but he isn’t ready to completely write off the possibility. Tickets for the 62nd running of the Budweiser International Classic 200 are available at the speedway box office from 11 a.m. to 4 p.m. on Saturdays during winter hours or by calling a representative at (315)-342-0646. Classic Weekend and season ticket packages are nearing completion and set to be announced in the near future. Oswego Speedway opens its 68th consecutive season of action on May 26 with the first-ever running of the Jim Shampine Memorial Twin 50s for the Novelis Supermodifieds along with the Tony White Memorial 35 for the Pathfinder Bank SBS. The track’s annual open practice session will take place a week earlier on May 19.